April is known nationwide as National Volunteer Month! We’d love to shed some light on the selfless work and time given by our volunteers not just this month, but year-round. The impact from people of this community that volunteer at Forward Training Center is immeasurable. You know who you are, we want to extend our deepest gratitude. Our staff team is incredibly small, and the continued success and growth of this organization would simply not be possible without our volunteers. Community members donate their time and skills to Forward Training Center in a variety of ways. 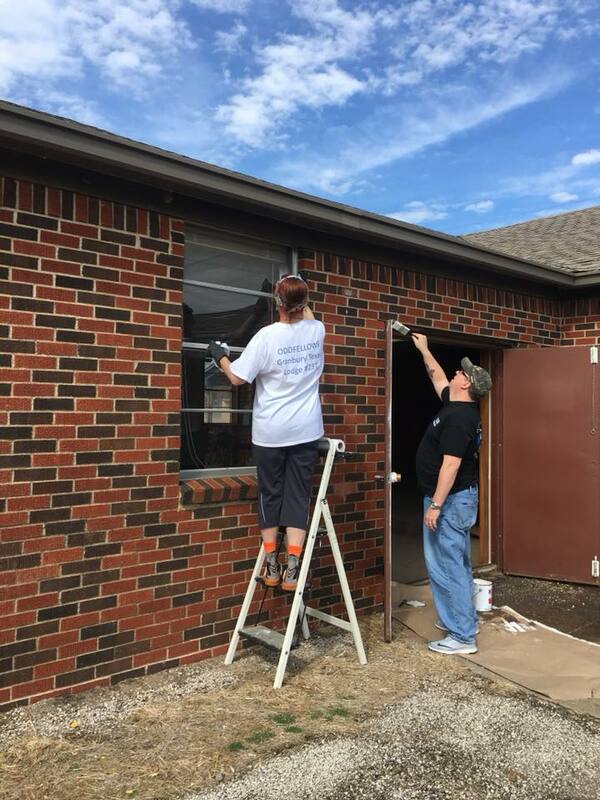 Many volunteers help improve our facility, some who teach our courses, mentor our students, offer professional trainings, prayer support, cook meals, provide childcare, organize fundraisers, serve on our board of directors, and so much more. Since the roots of this organization began in 2003, and through our name change in 2016, our support and volunteer count has only grown, and we are so thankful. In turn, our graduate numbers have grown. We are building a stronger community together. Each individual that volunteers positively affects our students success at Forward Training Center, and after. We are truly changing lives in this community! National Volunteer Week takes place April 10-16 this year. We encourage you to get out in your community and GIVE! There are so many ways to get involved and make positive change. YOU make a change just by giving your time. Plus, it’s never too late to kickstart those New Year’s resolutions. If you are interested in getting involved with Forward Training Center of Hood County, we are always looking for extra help. 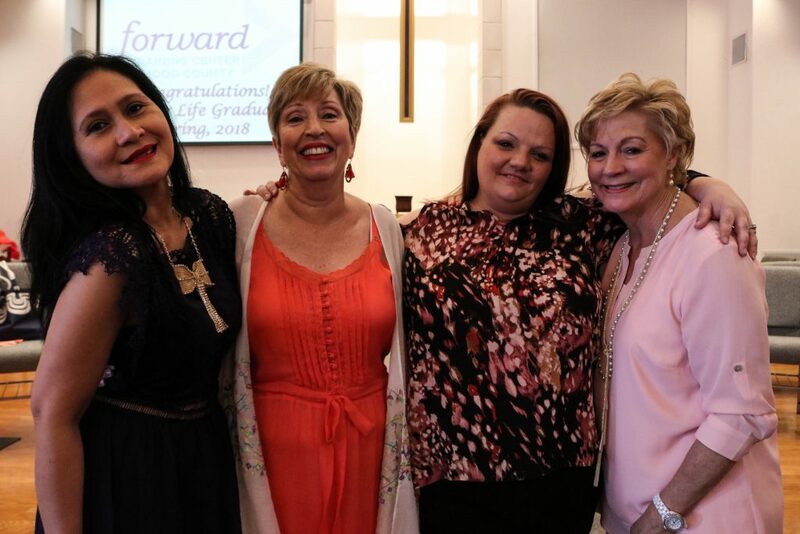 Volunteers, both men and women, fulfill a myriad of functions at Forward Training Center of Hood County as they provide leadership, spiritual support, instruction, direction, administrative help and training. 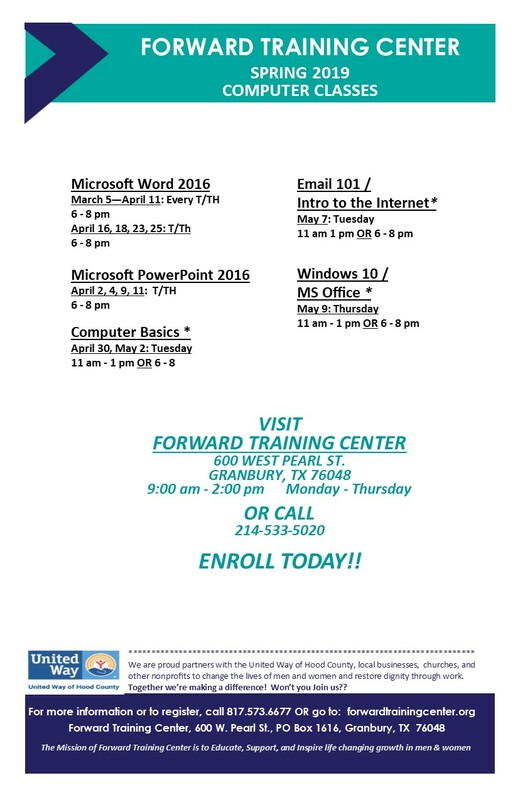 Give us a call at 817-573-6677, or email info@forwardtrainingcenter.org for more information!